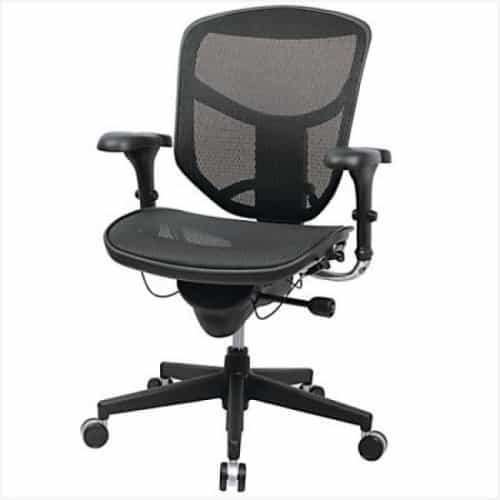 Quantum WorkPro Mesh Chair in Black features elastic mesh fabric that breathes to keep you cool. Unique elastic mesh fabric adds a contemporary look to your workspace while providing a breathable seating surface. I have been buying this Workpro brand from Beverly Hills Chairs for several years whenever I hire someone at my firm. It looks like a chair that should cost several thousands of dollars. 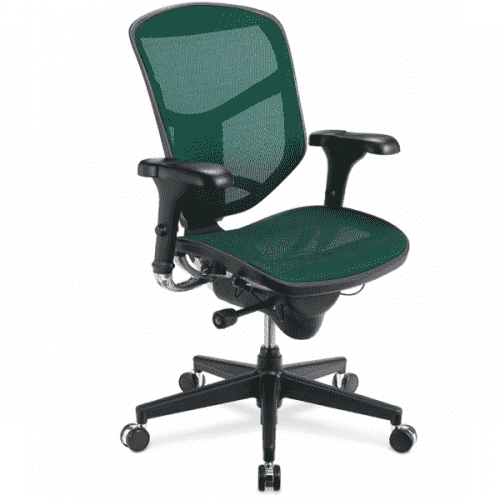 Had 30 of these Quantum Workpro chairs delivered to our new offices. We were deciding between a few and the gentleman on the phone let us borrow one of these chairs for a few weeks and my staff fell in love with it. 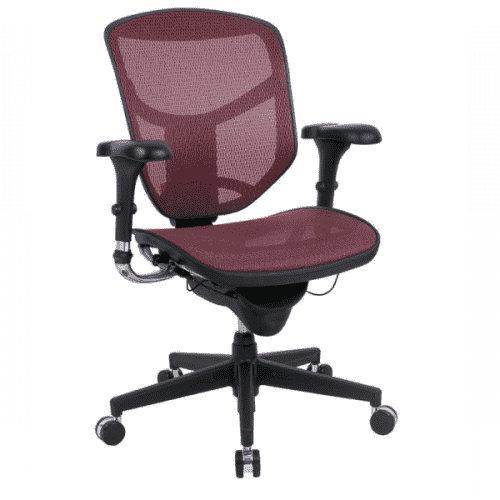 It has great reclining features and the mesh is super comfortable. 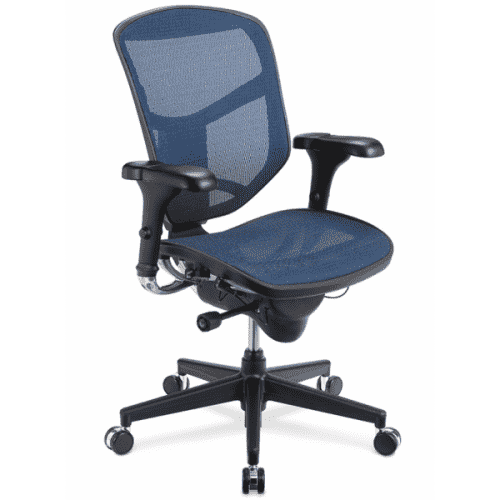 We ended up saving several thousands of dollars by purchasing this smaller name brand chair as opposed to going with Humanscale. 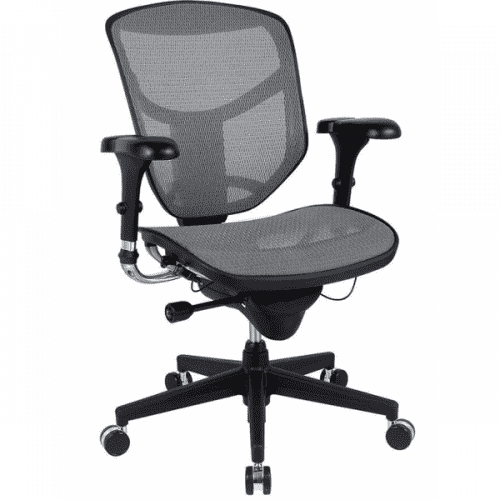 This all mesh fully adjustable office chair is similar enough to the Herman Miller Aeron chair where I do not care if the brand is as noteworthy as Herman Miller. I was able to save several hundreds of dollars by getting this chair. 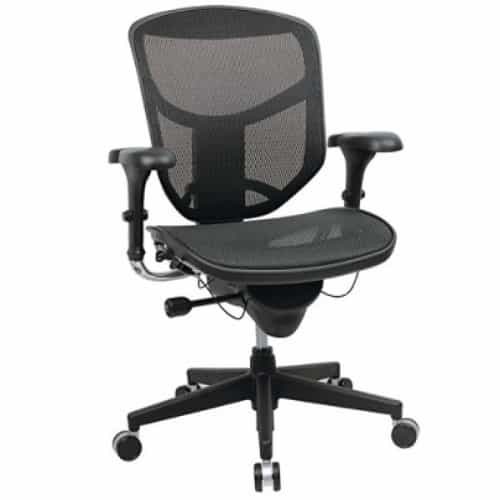 This mesh office chair comes with adjustable arms and tilt locks. I also like the waterfall edge of the seat which promotes better circulation in my legs. There is an option to get a headrest but I did not think it was necessary. The lumbar support that I get in this chair is a huge upgrade from my previous chair. 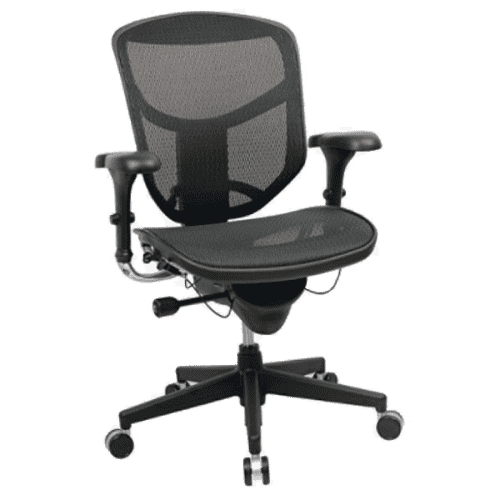 Designed to minimize stress on your back and legs during extended sessions at your desk, the WorkPro..